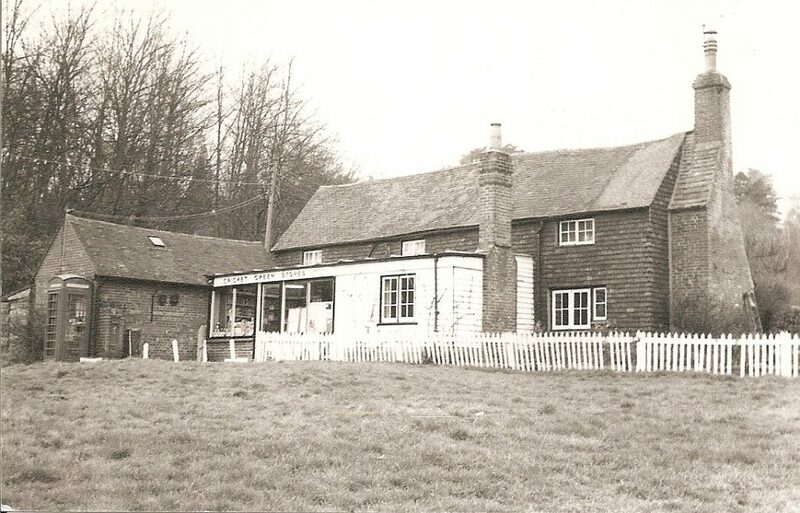 A chance encounter has led to the emergence of a classic postcard view of Hambledon’s village shop taken by the camera of the proprietor who lived there from the late 1960s. The encounter was with Alison Heath who, with her twin brother Duncan, spent her childhood at Cricket Green Stores, which was run by her parents Geoff and Margaret Heath between 1968 and 1982. Alison, now 55, recalls growing up in Hambledon with great fondness. Her home was what was then called Duck Cottage, now Pendle Cottage, and her parents were the last to both live in the house and run the adjoining shop and Post Office. The shop featured on a postcard, one of a series entitled “Scenes of Interest and Beauty in and around Hambledon, in Surrey”. The reverse of the card states: “Real photograph. 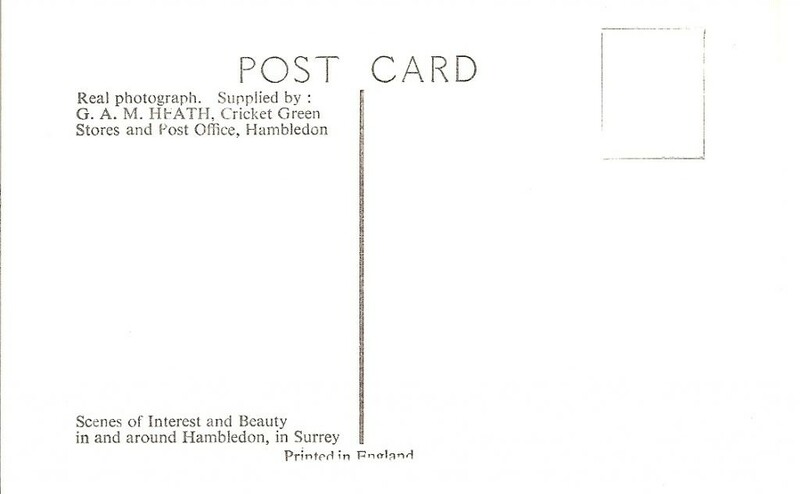 Supplied by G.A.M Heath, Cricket Green Stores and Post Office, Hambledon”. Alison’s mother died in 1987 from a brain aneurysm but her father is still alive, in his eighties, remarried and living in the New Forest. This is to allow carriageway excavation by engineers on behalf of British Telecom. This involves clearing blockages in existing underground infrastructure. Access to local properties and the emergency services will be maintained. However, the road remained open until late morning on Monday as no work had started. This may have been because of torrential rain earlier in the morning and localised flooding, particularly in Station Lane. In addition, Salt Lane, at the junction with the Hydestile Crossroads, was also closed for a time on Monday morning to allow for the removal of a fallen tree which came down in winds and rain yesterday afternoon. Work did start later in the day and the closure was enforced. However, there may be periods during the day when the road will be passable, but this should not be be taken for granted. The road was expected to be open in the evenings when work finishes for the day. 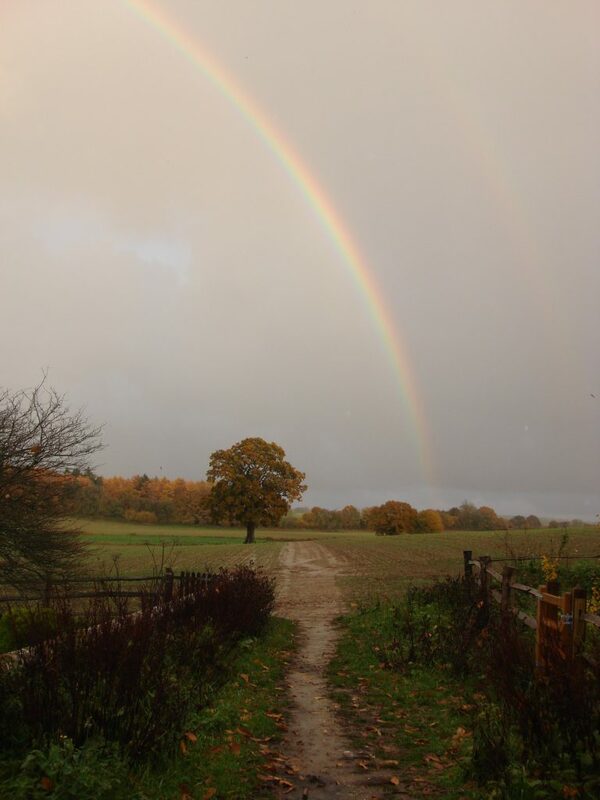 Heavy rain showers followed by bright sunshine throughout Monday may have led to difficult road conditions – but it also created a beautiful rainbow seen here from the Greensand Way by Hambledon Church, looking across the fields towards Hydon’s Ball. SURREY COUNTY COUNCIL propose to make the above mentioned Temporary Order under Section 14(1) of the Road Traffic Regulation Act 1984, the effect of which will be to temporarily prohibit vehicles from entering or proceeding in that length of Rock Hill (C31) Hambledon which extends from its junction with Church Lane (D168) to its junction with Public Bridleway No. 181 (Hambledon). Vehicular traffic will be diverted via Hambledon Road, Station Lane, Church Road, Petworth Road, Lane End and Malthouse Lane or this route in reverse order. This Order is required because works are being or are proposed to be executed on or near the said, namely works in relation to clearing blockages on the existing underground structure, to be carried out by BT. These works are anticipated to be completed within five days, between 08.00hrs and 18.00hrs, during the three-month period of operation of this Order which commences on 12 November 2018. Advanced warning signs will be displayed and the temporary closure will only operate when the relevant traffic signs are displayed. Access to premises within the affected length of Rock Hill, including access by emergency vehicles to these properties, will be maintained at all times as will access for pedestrians, equestrians and pedal cyclists. Hambledon Parish Council has an Emergency Plan procedure in place in the event of harsh winter weather bringing disruption to the village. However, there are many simple precautions people can take to make sure they can cope with cuts to power supplies and phone lines, a problem that has affected Hambledon in the recent past and usually caused by high winds or heavy snow. If power fails so to do household phones as many cannot function without electricity. As a safeguard, make sure you have a stand-by phone that does not need a power supply. The council has a small supply of such phones and if you require one please leave your details at the village shop. Mobile phones lines can also fail during severe weather and it is worth remembering that the public phone box outside the village shop does not require electricity and will continue to work unless overhead lines have been brought down. Operator, reverse charge and 999 calls are free but you will need to use a bank card for all other calls. Keep torches handy and make sure that you have a supply of batteries. A battery-operated radio will also come in useful for listening to local radio bulletins. Tune in to BBC Surrey on 104.6FM or Eagle Radio on 96.4FM or on DAB and Internet if available. 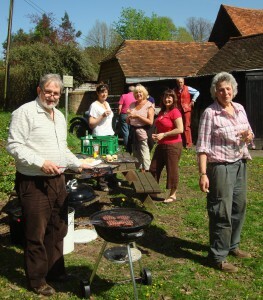 The village website will also carry updates at www.hambledonsurrey.co.uk. 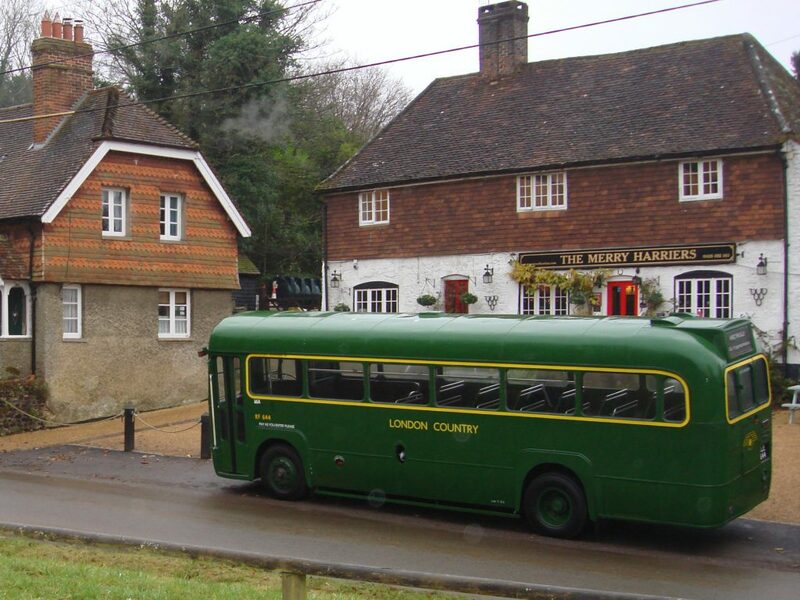 Many readers may have seen a vintage bus around the village recently, negotiating the narrow lanes or parked up in the bus stop outside the Merry Harriers. Its owner Richard Shirley was staying at the pub as he had been hired to take a party of birthday revellers from Busbridge to the Noah’s Ark pub in Lurgashall, with a late-night pick-up. His bus attracted a lot of attention and Richard was asked if he would be prepared to bring it back next year for the Hambledon Midsummer Festival in June. He agreed and his bus will take part in the classic vehicle rally which will start from the Cricket Green on Sunday June 24 (see earlier news item). It is hoped that the bus, with villagers aboard, will follow the rally of local classic cars and bikes from the Green, where the fete and ball will have been held the previous day, through local countryside and ending up at the Merry Harriers. Richard, from Kingston, is a bus enthusiast. 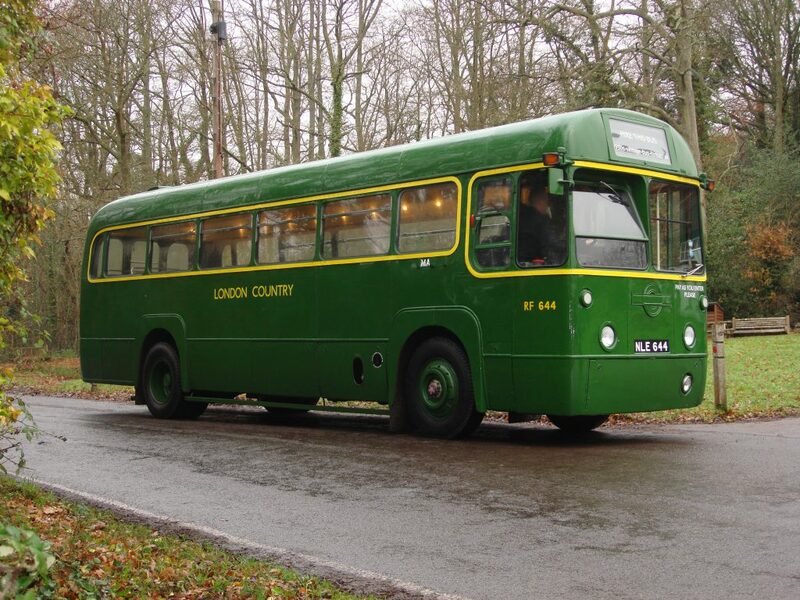 His 1953 AEC Regal RF-type single decker was one of 700 built for working in London and the Home Counties. It was retired by London Transport in the early 1970s and, after passing through various ownerships, was eventually acquired for preservation. Richard, who also owns a red London Transport RT double-decker built in the early 1950s, works in the transport industry. Both his vehicles are inspected and licenced for passenger-carrying service and are maintained in superb condition. Hambledon Parish Council is to hold talks with Surrey County Council and Waverley Borough Council to press for a review of the way the village bus service operates in the hope it can be made more commercially viable. Suggestions from villagers would be welcome, either by leaving a website comment on this article or posting suggestions in the Forum section. 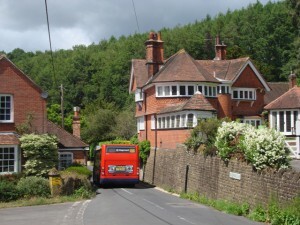 The 503 route, which is the only public transport service available to residents, connects the village with Milford, Godalming and Guildford and is especially important to the elderly and infirm wanting to visit shops, banks and surgeries. It is shown here in the picturesque setting of the farm buildings at the Hydestile Crossroads as its leaves the village headed for Milford. It is operated by Stagecoach but is heavily subsidised by Surrey County Council. Recently it faced the axe, only to be reprieved after the parish council and residents lobbied for it to continue. The council is keen to see if changes can be made to increase revenue and prevent another cost-cutting exercise threatening its existence the next time SCC reviews its subsidised bus operations. Currently the 503 operates on Mondays, Wednesdays and Fridays, twice in each direction, beginning at Lane End at 9.15 and 12.15. Although a vital service for older residents its timing and infrequency means it is of no use to school children or commuters, despite its route taking it past Milford Station and local schools. 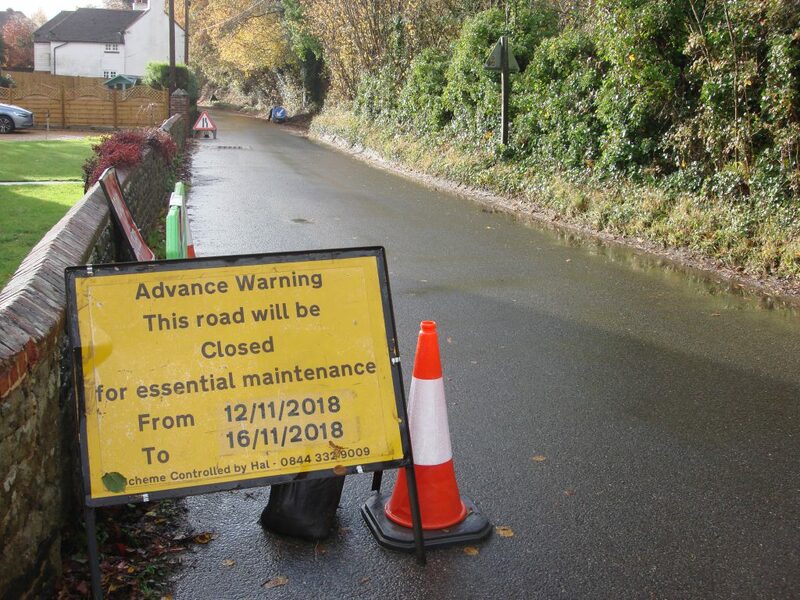 Surrey County Council has indicated that it is prepared to discuss the route with the parish council and others and it is hoped this will happen soon. Surrey County councillors have formally endorsed the recommendation not to withdraw the 503 bus service. At a meeting of its Cabinet on Tuesday (May 24th) members approved the recommendations arising out of the council’s Local Transport Review, which originally proposed scrapping the 503, Hambledon’s only public transport service. 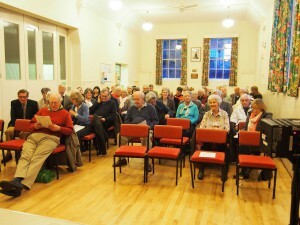 After public consultation and a campaign by Hambledon Parish Council and supported by residents, the review recommended retaining the 503, which operates three times a week, twice in each direction, and connects Hambledon and Hydestile with banks, surgeries and shops in Milford, Godalming and beyond. The 523 Godalming to Milford Hospital service has also been reprieved. Both services are operated by Stagecoach but subsidised by Surrey County Council. SCC has been looking to make savings on the money it pays in support of rural bus services and the review has achieved this aim without necessitating the withdrawal of the 503 and 523. There may be some alterations to the service, subject to further discussion (see earlier news item). In the meantime the current timetable can be found on this website under the “Home” page link and then clicking on “Travel Info”. Hambledon’s only bus service, the 503, is set to be reprieved by Surrey County Council, reversing a decision to scrap the route as a cost-cutting measure. This is a victory for the campaign mounted by Hambledon Parish Council and local residents to save the service. Following the SCC Local Transport Review earlier this year, aimed at finding savings on council-subsidised rural routes, the 503 was one of a number of services to be scrapped, subject to public consultation. The parish council vociferously opposed the proposal and many villagers raised objections during the consultation process. SCC has listened, and at a meeting of its Cabinet on May 24th, members are expected to endorse the review team’s recommendation that the 503 continue. The parish council argued that it was wrong to withdraw the only bus route serving the village, leaving residents without any public transport. The 503 is a lifeline for a number of elderly or infirm residents who rely on the bus to get to shops, supermarkets, banks and surgeries in Milford, Godalming and beyond. These include reversing the decision to scrap the 503. The 523 Milford hospital service from Godalming has also been reprieved. Currently the 503 operates on Mondays, Wednesday and Fridays, twice in each direction, beginning and ending at Lane End. The recommendation is for the service to continue on at least Wednesdays and Fridays and possibly on another day to be determined. The 503 is operated by Stagecoach but subsidised by Surrey County Council. The transport review examined services across the county. Faced with cuts in Central Government funding, SCC is looking save £2 million on its transport budget by next year. The recommendation to be voted on on May 24th will enable SCC to achieve the required savings needed from the review, documents state. The annual Parish Assembly, held on Thursday evening at the village hall, was well attended and produced a number of ideas to be included in the proposed new Parish Plan. The Parish Plan is a formal document taken into account by public authorities such as Waverley Borough Council when considering issues that involve Hambledon, especially planning and highways. It is also a point of reference for Hambledon Parish Council in its work to help fulfill the aims and ambitions of village residents. Following a report of the parish council’s activities over the past year as well as those of various village organisations, the assembly heard ideas from residents on what they would like to be included in the new Parish Plan. High on the list was a request, led by Hambletots, for a small play area for children, ideally somewhere close to the village shop. This idea had a lot of support. It was pointed out that play equipment need not be made of intrusive coloured plastics and could be made of wood to suit the rural environment of the shop, pond and cricket green. Other suggestions included improved drainage for the cricket pitch, a public toilet for the use of visitors to the shop and its cafe and provision of a bike rack, as the shop is regularly used by cyclists. On the issue of cycling, it was pointed out that the village was on the route of many organised cycle events. The poor state of road edges presented a danger. It was suggested that, given the number of events, maybe external funding could be found to carry out improvements. There was also support for the retention of the 503 bus service, currently under threat (see earlier news items) and concern that car parks at the two nearest railway stations, Witley and Milford, were now at capacity. It was recognised that any new development at the Dunsfold Aerodrome site would only add to the problem, along with associated traffic problems on the narrow, rural village roads. The Parish Council is currently gathering ideas for the new Parish Plan. It is likely that a steering group made up of councillors and villagers will be established to take the plan forward. Tomorrow (Saturday) is the annual village clean-up, this year tied in with Clean For The Queen in recognition of Her Majesty’s 90th birthday. 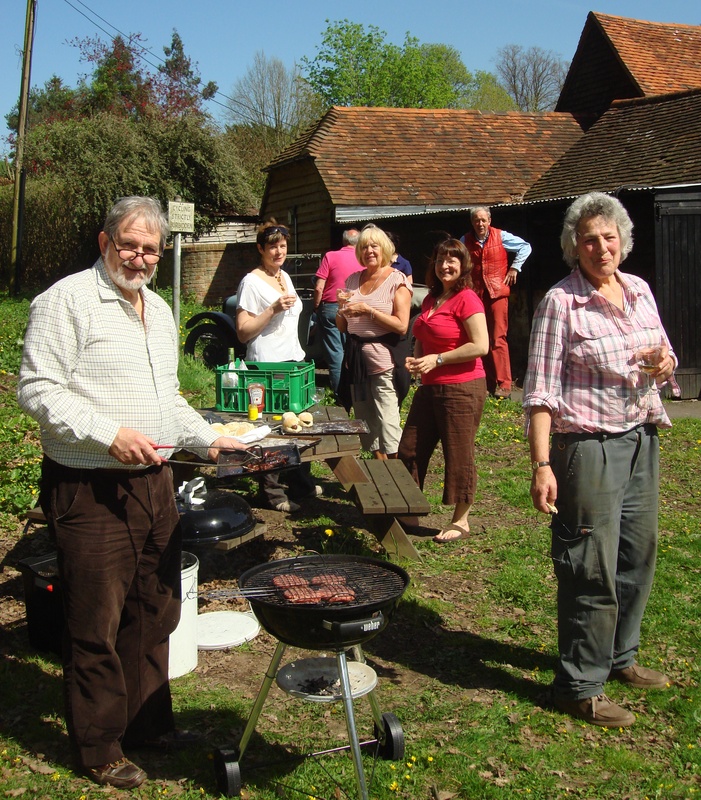 Villagers are asked to gather any litter and bring it to a collection point at the shop where, starting at around midday, a free barbecue will be held for volunteer litter pickers. In the afternoon a jumble sale will be held at the Village Hall to raise funds for its maintenance. The fate of Hambledon’s only bus service, the 503, will be decided by Surrey County Council in May and, unless the proposal to axe the route is overturned, it will cease operating in September. However, SCC has acknowledged the strong opposition to the proposal by Hambledon Parish Council and residents and indicated that it may be prepared to meet to see if there is an alternative to outright closure. The parish has suggested that the 503 could be merged with the 523 Milford Hospital service, which is also under threat, and rerouted to take in new housing developments. In its latest Local Transport Review SCC – faced with having to make budget cuts -has been examining rural routes in West Surrey with the aim of reducing the level of subsidy it pays to operators to keep the services running. Under this review it proposed scrapping the 503, which runs three days a week and connects Hambledon with Milford, Godalming and Guildford. The 503 is important to the village and its immediate neighbourhood, and especially to some of its older residents and those without cars. Starting and ending at Lane End it connects Hambledon and Hydestile with supermarkets, banks and surgeries. Most of its users have bus passes but face losing the only bus they can travel on. Under the review SCC is also proposing scrapping the 523, which operates twice a week to Milford Hospital from Godalming via Busbridge. Both services are operated by Stagecoach on behalf of the County Council, using low-floor buses suitable for the elderly and infirm. SCC has been consulting on the proposed changes to these and other services. In its submission Hambledon Parish Council urged the county to keep the 503. It also suggested that the 503 and 523 could be merged to serve the new 100-plus homes being built beside Milford Hospital, other areas of new development and be re-timetabled to make it more widely available. 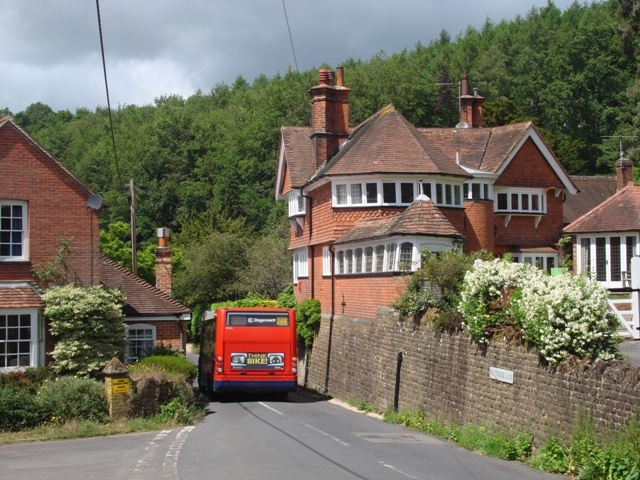 Hambledon residents have until this weekend to write in support of the village’s threatened bus service, the 503. The consultation period ends on Monday (March 14th) at 9am. Surrey County Council, which subsidises the 503 and other rural bus routes, wants to hear the views of villagers before making a final decision on the fate of the service. It is reviewing all bus routes in the county as it looks to make cuts to its budget. Hambledon Parish Council strongly opposes the proposal to axe the 503. It is asking Surrey County Council to reconsider the issue and perhaps look to amalgamate the service with the 523 Milford Hospital service, which is also under threat. With more than 100 new homes being built beside the hospital, and a proposal to build affordable homes at Lane End, Hambledon, the council believes Surrey County Council should examine how to better integrate the service before making a final decision. Here is Hambledon Parish Council’s submission to the Surrey County Council review. Surrey County Council has arranged a public walk-in session in Godalming to discuss the proposed changes to local bus services, including its intention to axe the 503, Hambledon’s only bus service. It will take place next Friday (February 26) at the Crown Court car park where representatives of SCC and the operators Stagecoach will be in attendance on a bus. Residents can drop in at anytime between 10 am and 12 noon to discuss the proposed changes and to express their views. SCC, faced with budget cuts, is looking to further reduce the subsidy it pays to bus operators to keep rural routes operating. Some areas will see alterations or reductions but Hambledon will be hit hard because it is proposed to withdraw the 503 altogether. A final decision will be made after the current period of consultation ends on March 14. Hambledon Parish Council is opposing the scrapping of the 503, which it regards as a vital link for many, especially the elderly, to reach shops, banks and surgeries. Residents who wish the service to continue are urged to make their views known. They can do so online at www.surreycc.gov.uk/transportreview or by phoning 0300 200 1003 to request a copy of the questionnaire to be sent to their home. Copies can also be obtained from libraries and council offices. If you know of someone who will be affected by the withdrawal of the 503 who is unlikely to read this online story, please contact them and pass on details of the drop-in session and the public consultation. 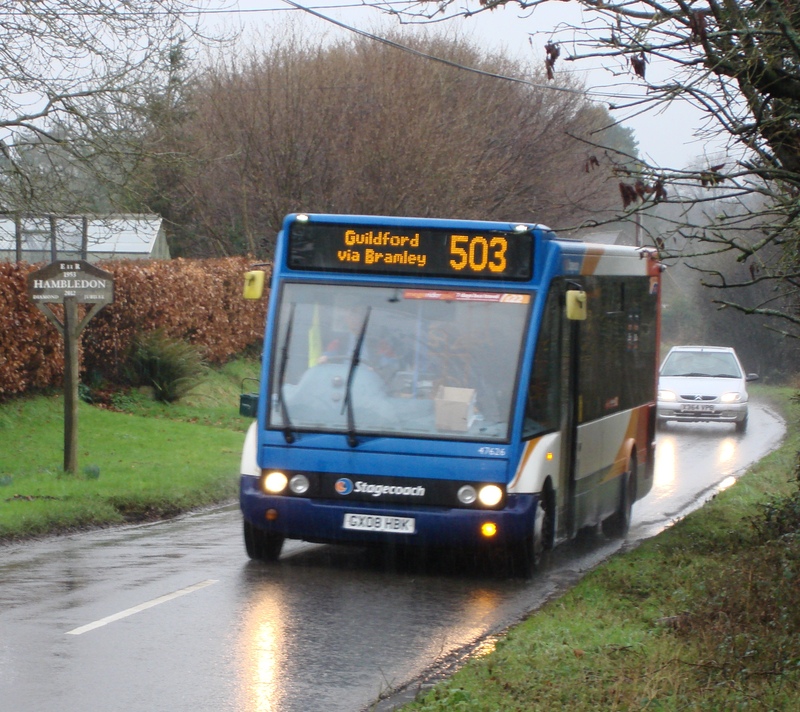 Surrey County Council is proposing to axe the 503, Hambledon’s only bus service. Having won a reprieve in 2012, once again the county council is making further spending cuts including the subsidy that keeps the 503 operating. This time the village faces a big battle to keep its bus, even though the need for the service remains as great as ever. If you want to comment on the proposal then please complete the Surrey Council questionnaire online at www.surreycc.gov.uk/transportreview or fill in a paper version available in libraries and local council offices. Or you can request a copy in the post by calling 0300 200 1003. The deadline is Monday March 14. SCC will then consider responses to the consultation and final proposals will be debated on May 24. The outcome will be announced in June and changes will come into effect in September. If you care about the future of Hambledon’s bus, which provides the only public service link to shops/banks/surgeries in Milford, Godalming and Guildford then please take part in the consultation. SCC is suggesting the bus could be replaced by a dial-a-ride service. Many older residents in the village rely on the 503, which currently operates on Mondays, Wednesdays and Fridays, twice in each direction. A handful of residents join the bus in Hambledon and others board as it stops the in Manor Fields and Chapel Lane estates in Milford. Because of its importance to these passengers, the Stagecoach-operated service is subsidised by Surrey County Council to keep it running. But continuing cuts in funding to local authorities by Central Government are taking their toll. And this at a time when the need for public transport, and the energy and environmental savings it brings, could not be more important. Hambledon residents who use concessionary passes to travel free on the Park and Ride service when visiting Guildford may like to know that there is a proposal to start charging a £1 return fare. Surrey County Council which operates the service is inviting comments on the proposed changes as part of a consultation process. This ends on September 1. The proposal will only affect passengers who use an older or disabled persons concessionary pass. The council has put out the following statement: “Surrey County Council is under enormous financial pressure, due to reduced government funding and extra demand for vital services. This has meant the council has had to review all the services it provides for its residents. The 503 bus service, which connects Hambledon with Milford, Godalming and Guildford is safe – for the time being at least. Earlier this year Surrey County Council conducted a wide-ranging review of the routes it subsidises, many of them in rural areas. Hambledon Parish Council and many of its residents responded to this, stressing how important the 503 is to the village. SCC is now proposing specific reductions and cuts to some services in the county, beginning with routes operated by Abellio, Arriva and Metrobus companies. These changes are now being consulted on, with SCC due to make a final decision on June 23 and the revised services coming into affect on August 29. None of these services are in the Waverley Borough Council area. Our turn will come. Over the next two years Surrey CC will look at other bus operators as their contracts come up for renewal, including Stagecoach which operates many of the services in the Waverley area, including the 503. Further localised consultation is expected and proposals for cuts and/or reductions are likely to follow. Surrey CC is looking to reduce the £8.9 million it spends each year subsidising bus services. The 503 is Hambledon’s only public transport service, operating twice in each direction on Mondays, Wednesdays and Fridays. It provides a vital link for those without cars, often the elderly or infirm, to reach supermarket, banks and surgeries. Hambledon Parish Council will continue to press for the retention of the 503 and will make sure that residents are aware of any future public consultation. The consultation period for Surrey County Council’s Local Transport Review has ended and the authority is now considering the future of subsidised rural bus routes, including the 503 Hambledon service. 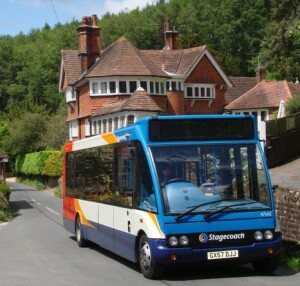 As part of the consultation Hambledon Parish Council made a submission in support of retaining the village’s only bus service, which is operated by Stagecoach but subsidised by SCC. Here is what the council said. 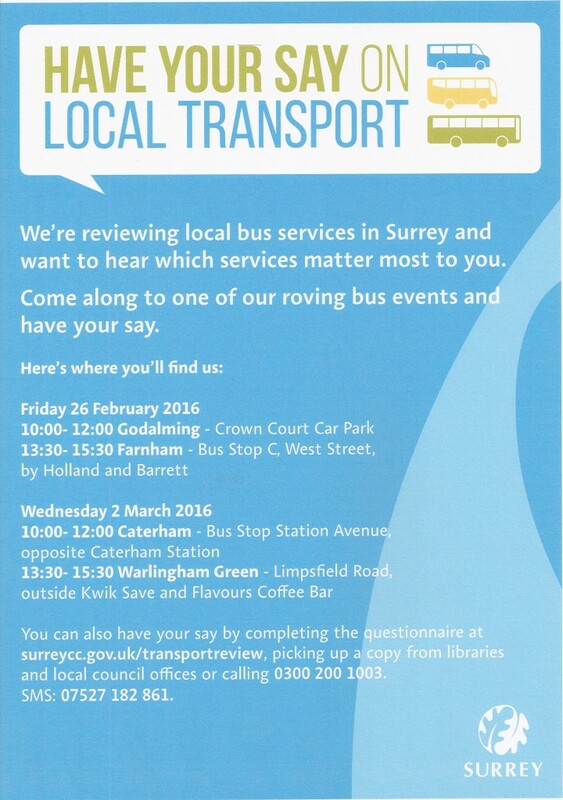 “Hambledon Parish Council is grateful for the opportunity to comment on the Local Transport Review following the request by Surrey County Council for feedback from stakeholders. The Parish Council is aware of the pressures faced by SCC with regard to funding and the need to review spending. Please consider this: Hambledon is a small rural village. It has a community store, but otherwise no shops, no banks, no supermarkets and no doctor or dentist surgeries. None of the above are within practical walking distance. To access any of these residents must use a car, or the bus. 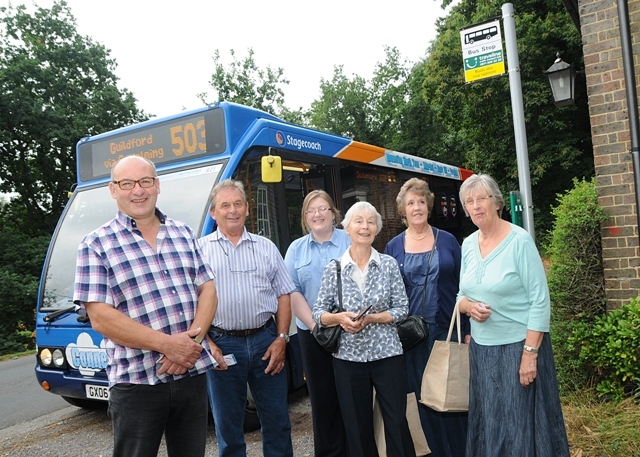 A reporter and photographer from the Haslemere Herald visited Hambledon recently to speak to residents who regularly use the 503 bus route. 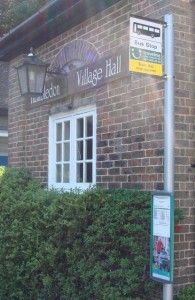 The newspaper carried an article about the re-vamped service, which had been under threat, and published a photograph of villagers at the newly-erected bus stop sign at the Village Hall. The photograph is reproduced below with the kind permission of the Haslemere Herald. 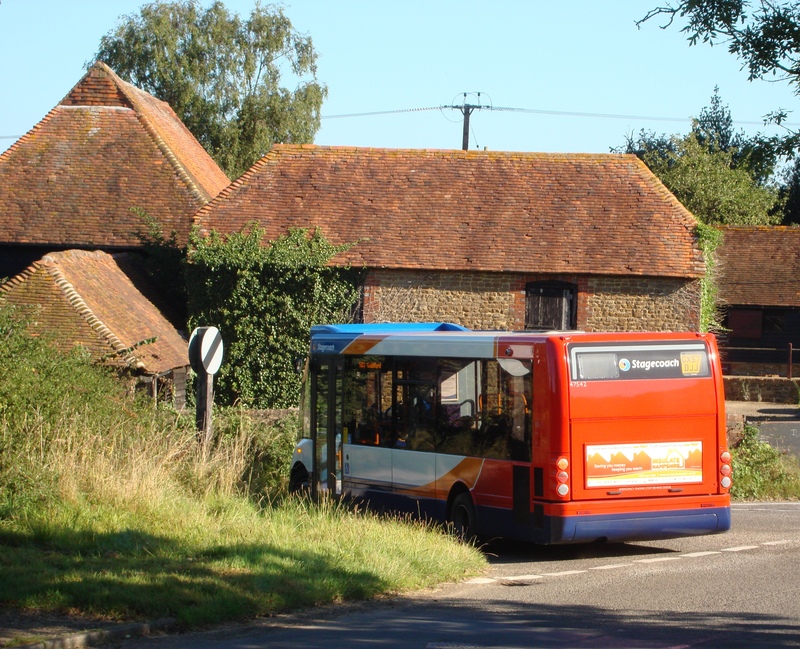 For more details about how villagers and Hambledon Parish Council campaigned to keep the village bus service and subsequent efforts to increase its usage, please see earlier stories on this website. 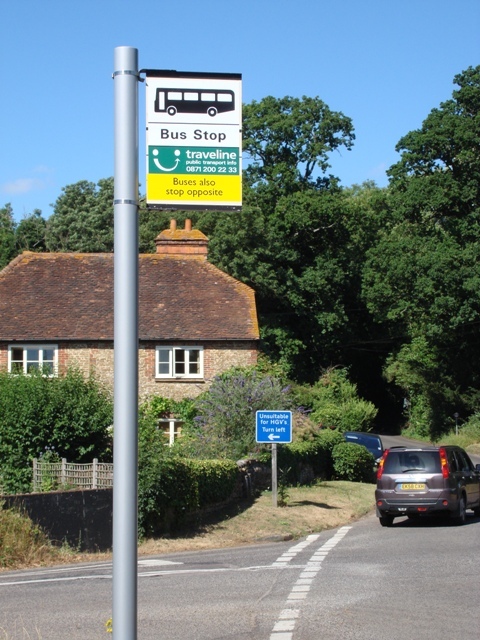 Bus stop signs and timetables have been reinstated along the route of Hambledon’s 503 bus service. Only long-standing residents knew where the village bus stops were located following removal of the post and flags over the years. Earlier this year Hambledon Parish Council requested that the signs be reinstated as part of an initiative to raise the profile of the 503 service that links the village with Milford, Godalming and Guildford. After a visit by Surrey County Council engineers it was agreed that three posts and flags would be re-erected; outside the Village Hall, beside the Merry Harriers and at the bus shelter at the Hydestile Crossroads (pictured below).